Quads are dumb motorcycles with four wheels that serve no other purpose but to kill or injure douchebags. 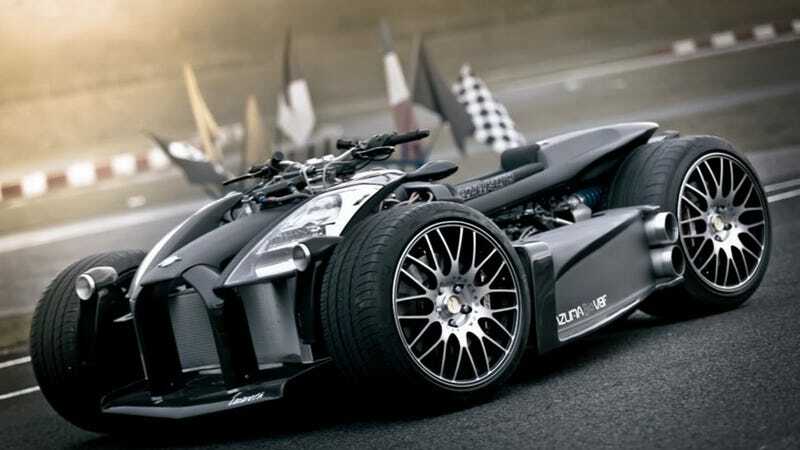 This Ferrari-powered quad, however, could be part of a Batman movie. A movie in which Batman is a douchebag who likes to ride dumb motorcycles with four wheels.